Imagine yourself in the following situation: You’re the chief engineer of an up-and-coming technology company, and you’ve just led the launch of a ground-breaking systems control software package. You’re excited. You know your new product can meet a wider range of needs for industrial operators than competing solutions. You’ve published a detailed press release, and now you’re waiting to hear back from the tech press and trade publications. And … crickets. Your big announcement does not seem to have drawn any attention or comments. You ask your team members to look into the matter, and they tell you sheepishly that only a handful of newspapers and blogs have taken note of your announcement. Moreover, they inform you that these outlets have either run the company’s statement in full or have condensed it into a brief blurb that uses exactly the same wording. You’re disappointed – and not sure what to do next. You’re proud of your new product and confident that it can find an audience. So far, though, your audience seems to be yawning. What happened? Perhaps you’ve fallen victim to technobabble. 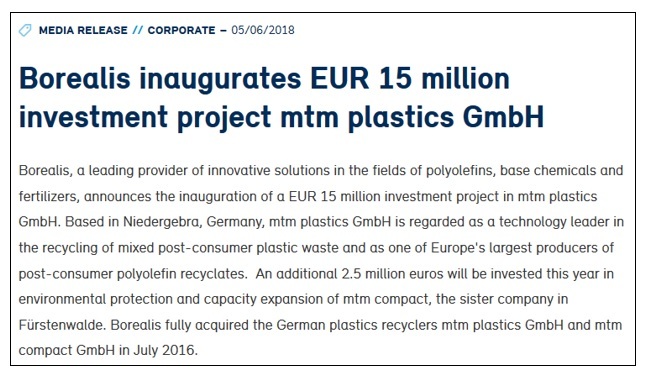 The headline, “Borealis inaugurates EUR 15 million investment project mtm plastics GmbH,” gives few details about the topic at hand. The first paragraph devotes more space to describing the companies involved than to explaining what exactly is happening. The text is heavily loaded with technical terms. Most of the results of an internet search for more information on the topic consist of articles that are slightly reworded versions of the press release. But how much does it matter if your press release is a difficult read? And if technobabble is truly a problem, how can you avoid it in press releases? 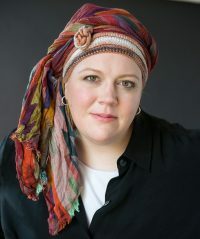 To answer these questions, The Writers For Hire spoke to Joel Alpert, the founder and strategic and creative director of MarketPower, an Atlanta-based branding and marketing consultancy. Unfortunately, the communication problem is not limited to interactions with the press. Companies that struggle to draw the attention of journalists and editors are also likely to have difficulty making a good impression on potential clients and customers. According to Alpert, the best way to avoid boring copy is to tell a story. To achieve this aim, he said, companies may need to move beyond describing their newest products and services in a straightforward, just-the-facts-ma’am manner. Potential customers – even those who are looking for technological solutions to complex problems – may respond more positively to a different approach, he said. HelloPackage seems to be thinking along the same lines, if its press release dated September 14 is any indication. 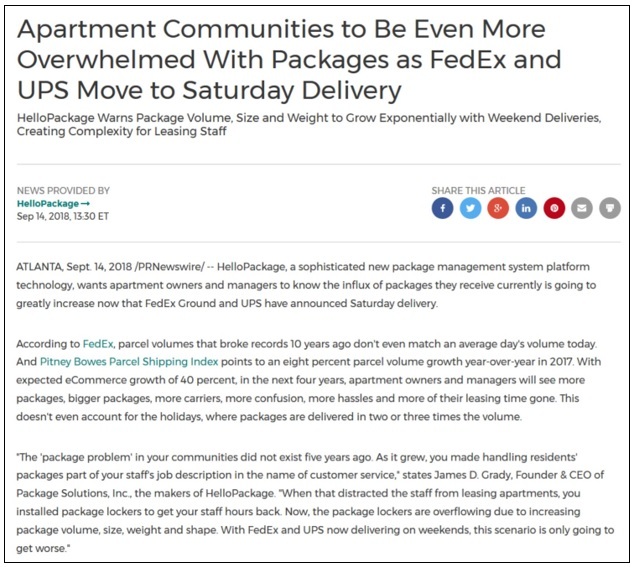 The headline and first paragraph draw attention to an easily relatable problem – namely, that of keeping track of more and more packages thanks to the expansion of delivery options. The second paragraph provides data to support the company’s argument without leaving readers to drown in a sea of numbers. The overall tone is collegial and engaging – and non-technical, despite the technical nature of the product. The statement explains clearly how the company can help resolve a real-world problem. Hitting these high notes may seem like a tall order for companies involved in complex, high-tech operations. But there are concrete ways to optimize the content of press releases to help them reach laymen and experts alike, Alpert told The Writers For Hire. One technique is to keep press releases and other marketing materials brief, he said. “Keep it short because if you’ve got something that can be told more [succinctly], you’re getting that story published the way you want to have it, [rather] than getting it sliced to bits because someone feels like they have to take a pen or cursor to it,” he said. When reworked in this fashion, press releases can do a better job of capturing readers’ interest. But if the topic at hand is technical in nature, will an overhaul really do justice to it? Even so, he said, the desire to cater to expert readers is no excuse for a badly crafted press release. “No matter who it is, even if they have a technical background, they still want to be able to read it like a normal sentence and not [have it] sound like they’re sitting in a science class looking at the periodic table of elements,” he commented. 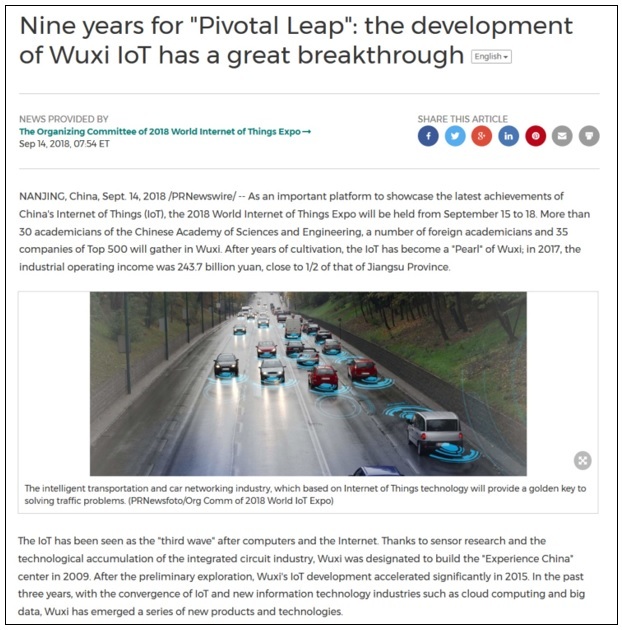 This target is not out of reach, as the organizers of a technology conference in Wuxi, China can demonstrate. It presents readers with a striking visual image by referring to the event as the “pearl” of Wuxi. The statement explains how consumers can benefit from the technologies showcased at the event. It references new technological developments without taking refuge in technobabble. Instead of listing the software’s technical features at length, it uses brief summaries and quotes from its CEO to highlight the ways that the software helps its users. As noted here, good writing skills are a crucial part of the solution, especially for companies involved in complex and technical industries that are not easy to describe to laymen. But they do not have to be the only tool in use. Indeed, technology – in the form of content management systems (CMSs) – can play a role. CMSs are software packages or apps that allow their users to collect, store, manage, and publish information, including text, graphics, and other materials. 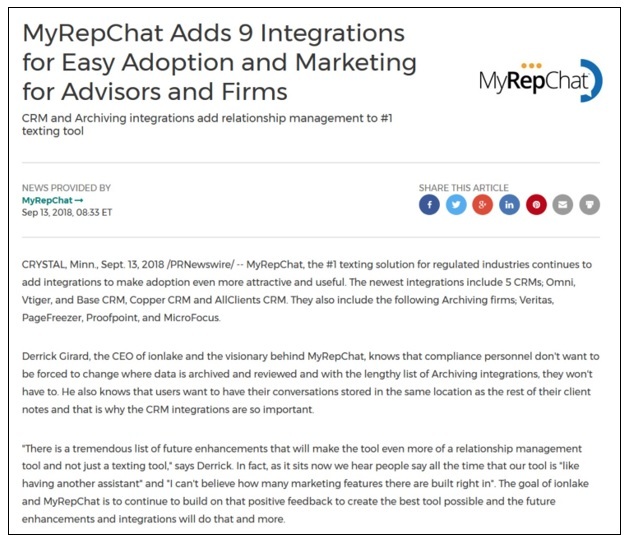 As companies accumulate collections of press releases and other public statements, they can use CMSs as an archive that stores older material: as a smart index that tags text and graphics so that they can be used in the most effective context, as a template that generates new material and calibrates it to specific audiences, as a sounding board that allows staff members to update and comment on press releases and other public statements, and as a publishing solution that formats material attractively. In other words, CMSs can be a helpful complement to good writing skills. They can streamline the process of drafting press releases by helping companies to draw on their most successful marketing campaigns and statements of the past. Through tagging, they can help companies tailor their press releases to different audiences with different tolerances for technical information, while ensuring that the final product is well formatted and visually appealing.